Melin & Carlsson has manufactured hydraulic cylinders for mobile and industrial applications since 1990. The Tranås plant employs some 50 staff and has a turnover of SEK 75 million. 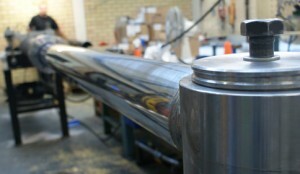 The company specialises in cylinders from 25/16 to 250/125 mm up to approximately 6000 mm stroke.